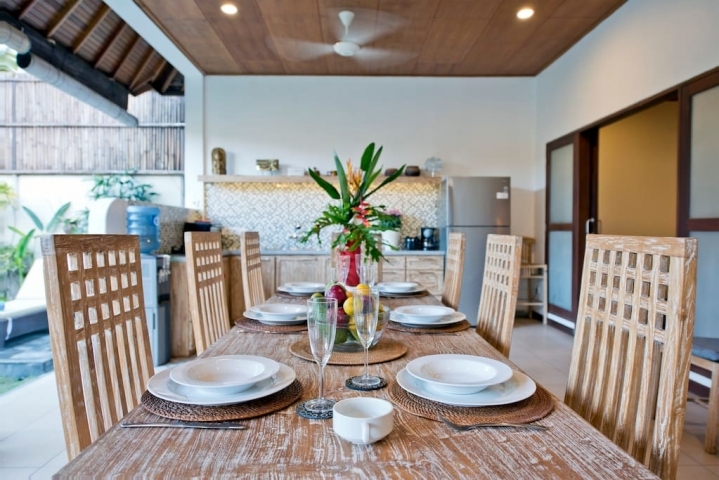 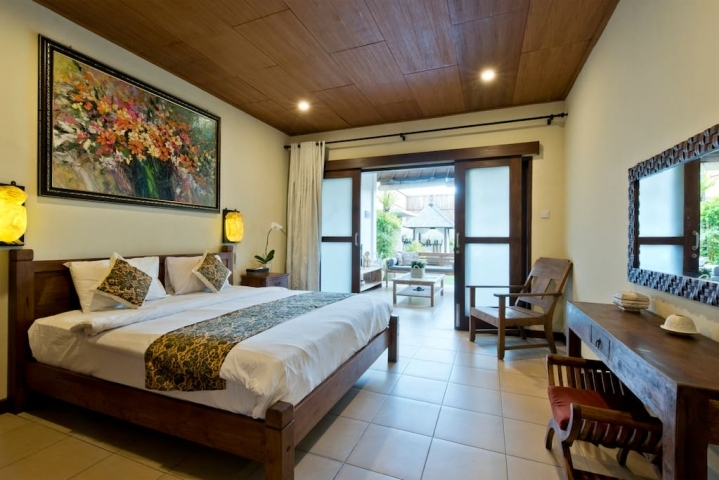 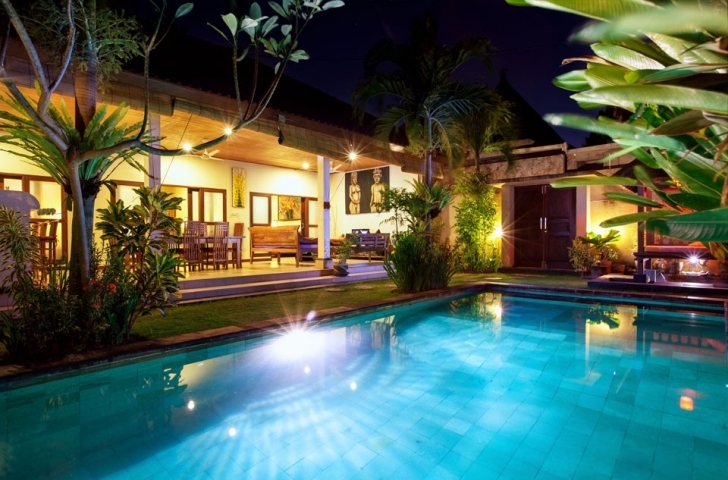 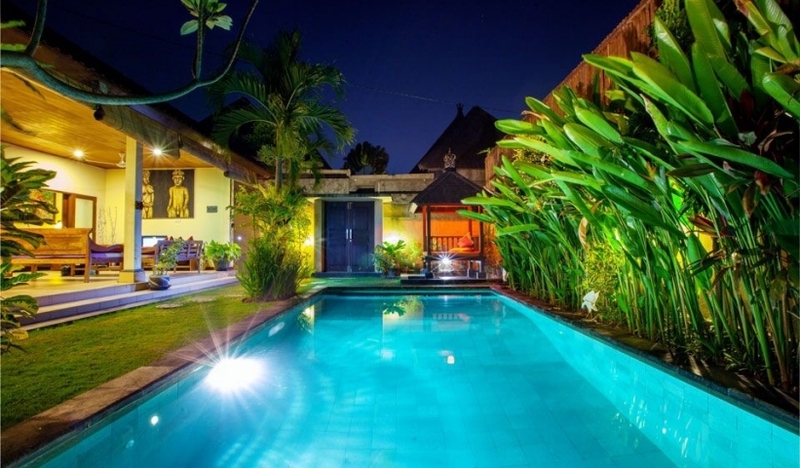 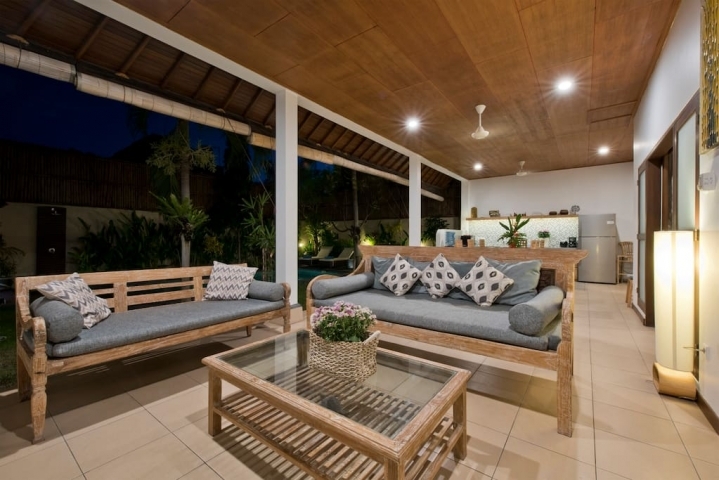 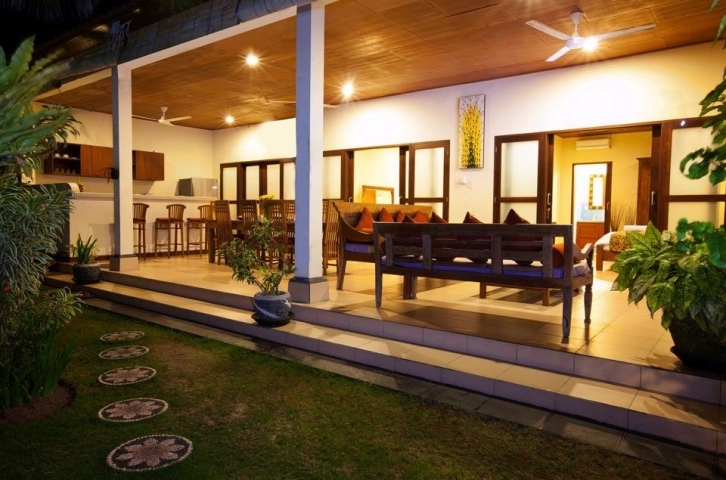 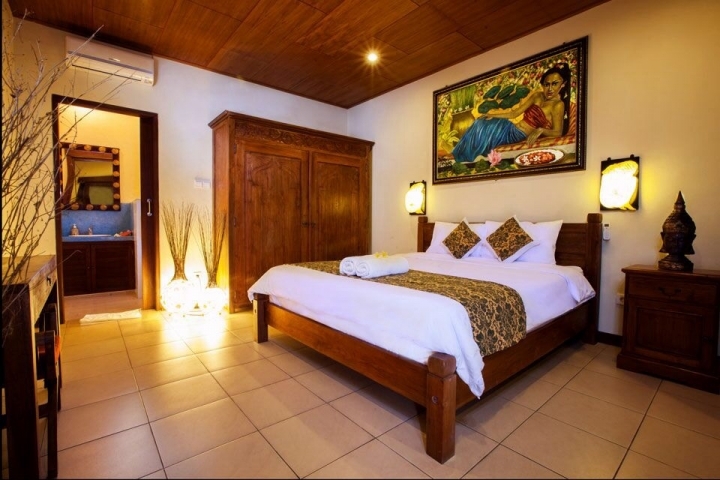 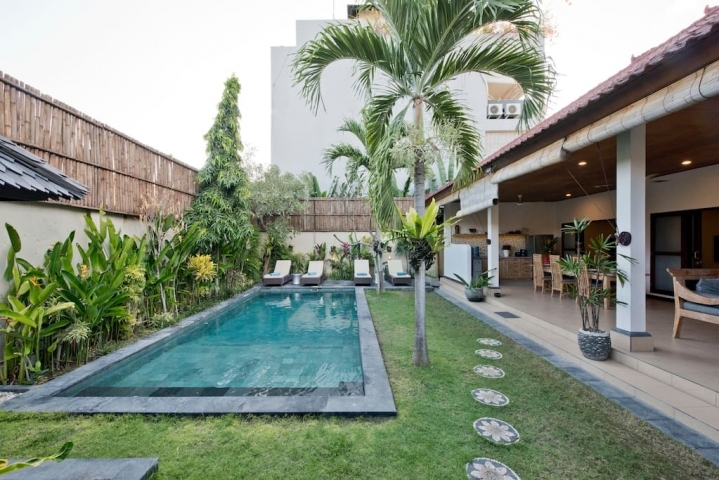 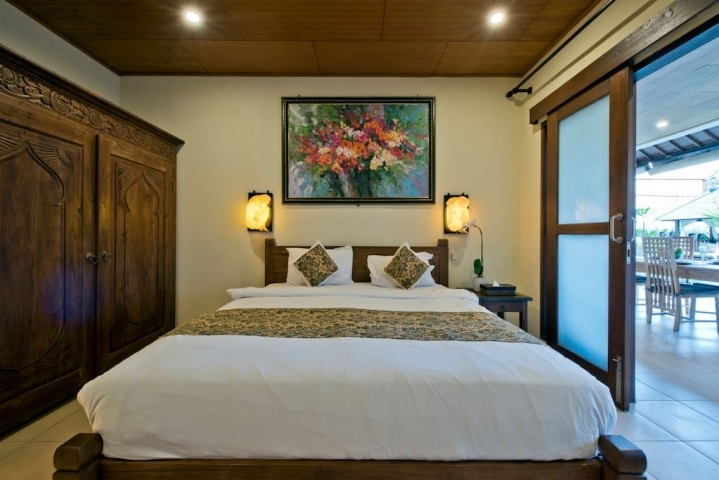 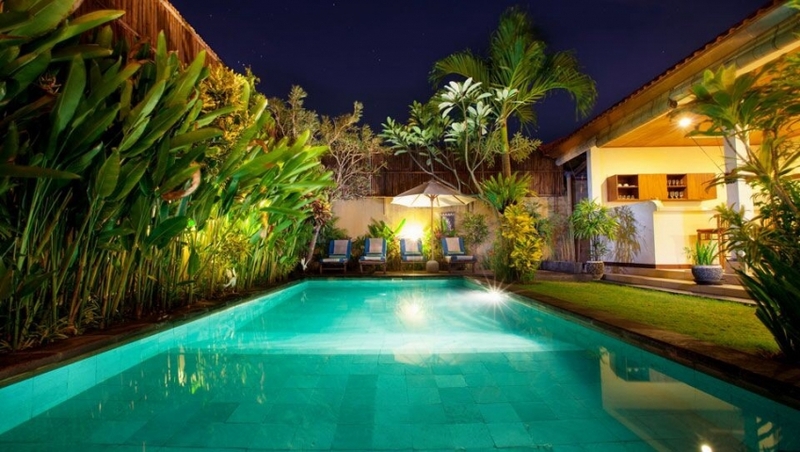 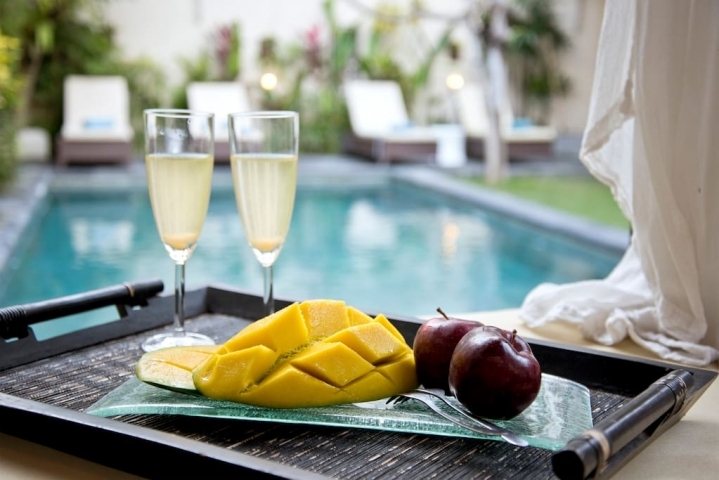 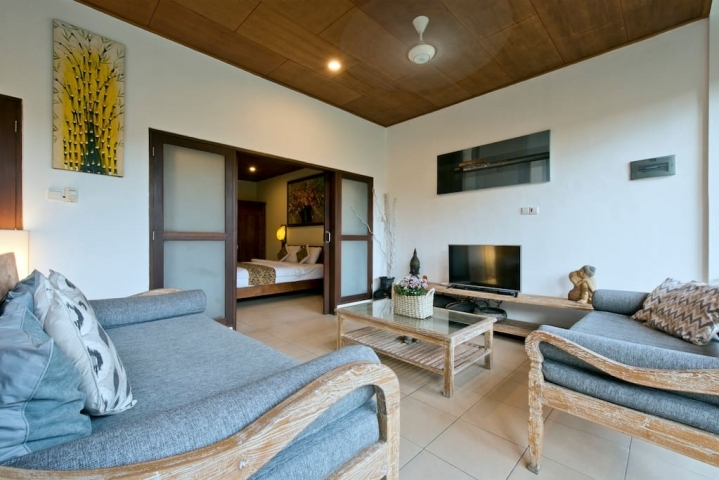 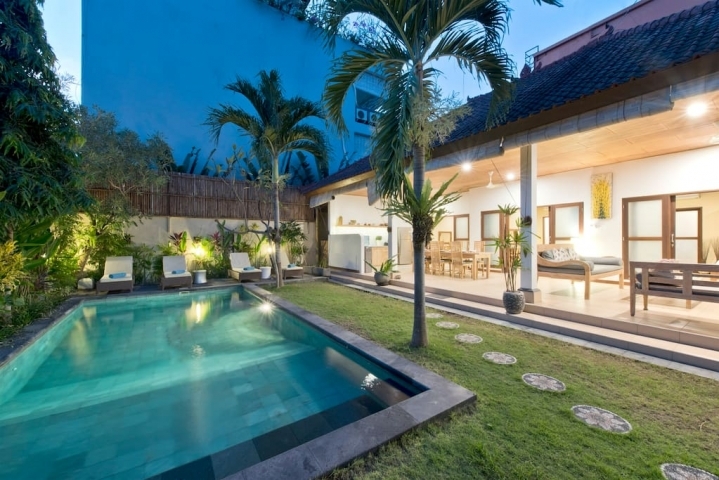 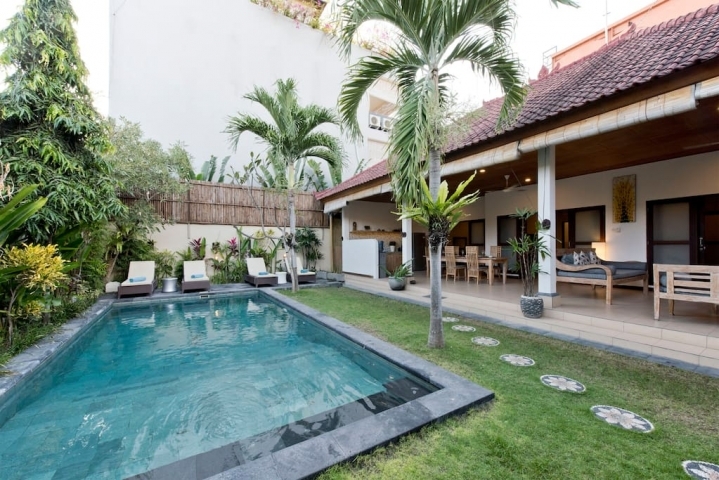 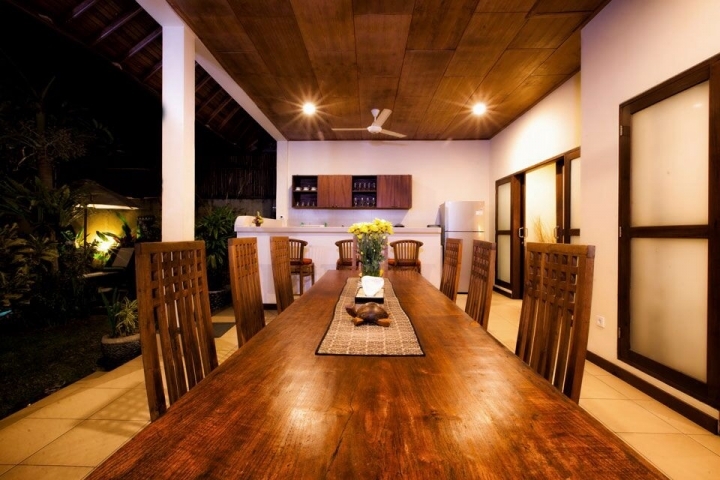 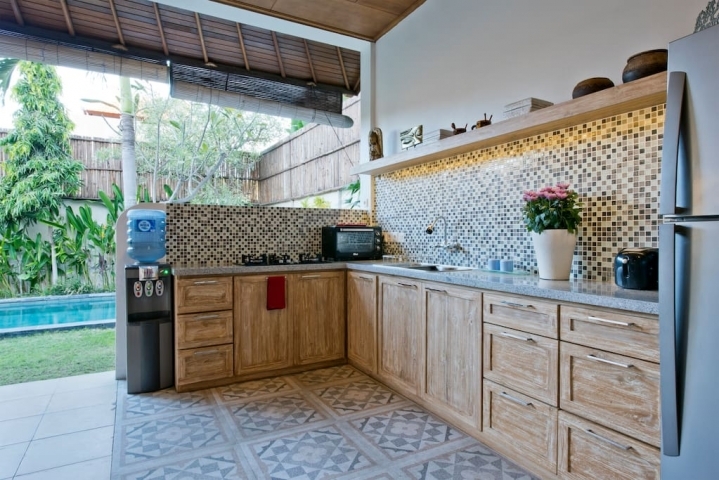 Spacious 3-bedroom villa located in a quiet area, offering serenity to its guests, yet it is just few minutes drive from heart of Seminyak, Oberoi street, with many choices of nice restaurants, shops, beach clubs, and nightlife venues which Seminyak is famous for. 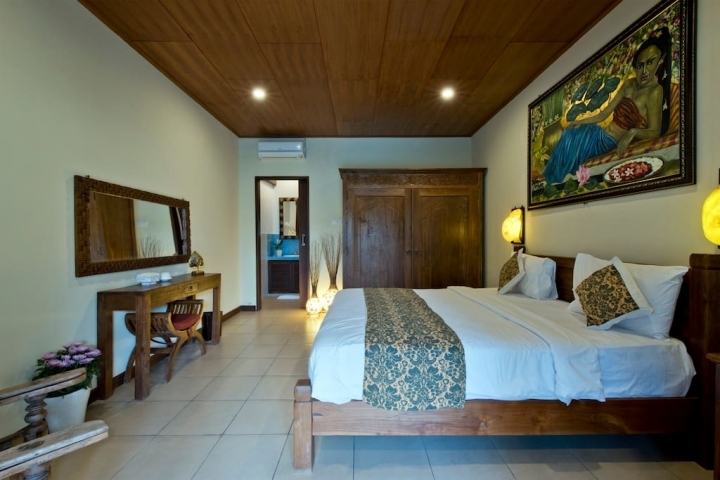 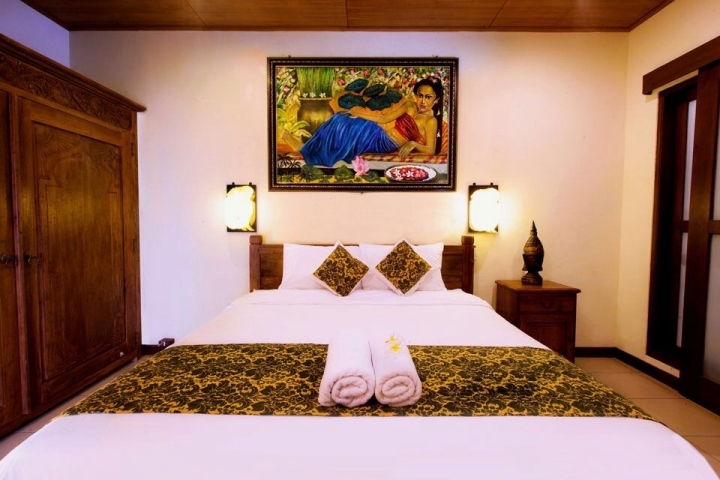 The building, the Javanese wooden furnitures, Balinese style paintings of this villa are designed and chosen to introduce Indonesian cultures. 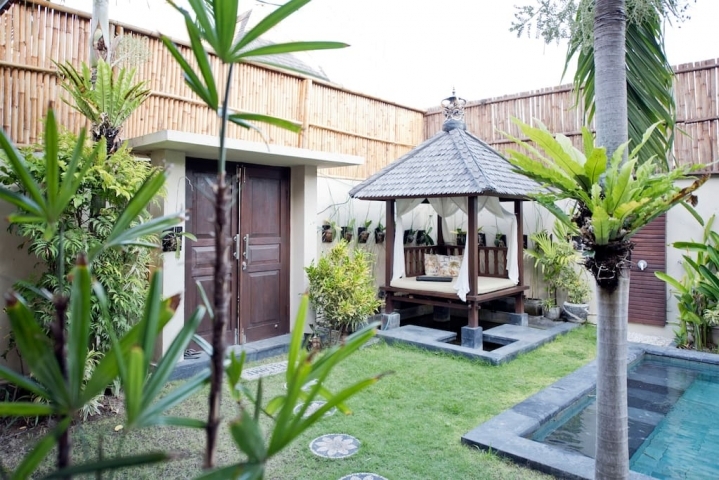 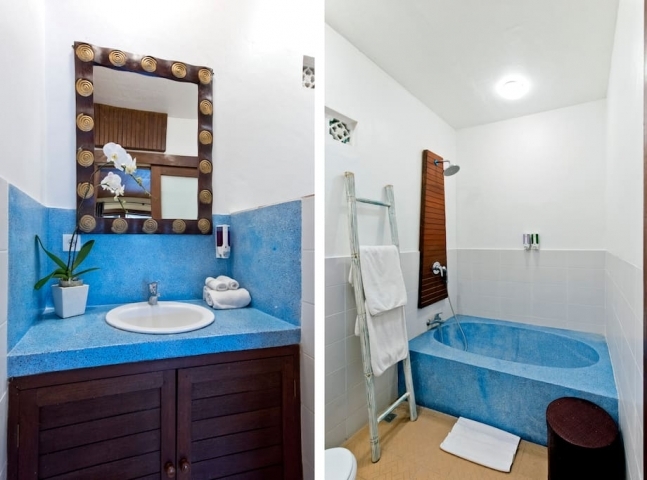 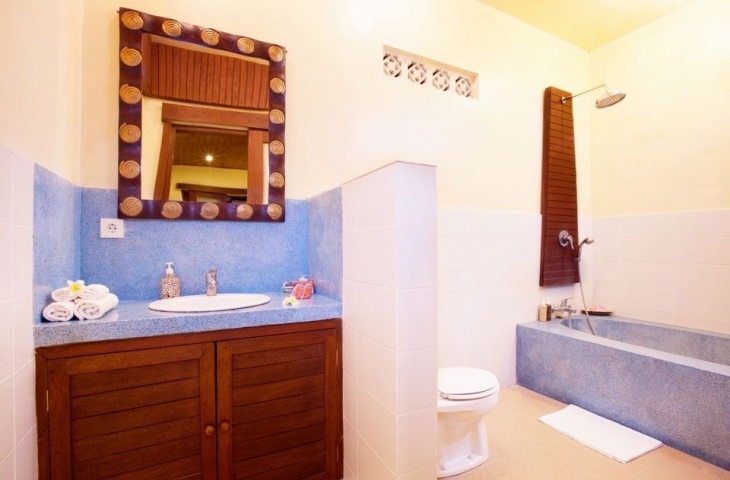 - Three spacious bedrooms located on the ground floor and face the living room and the tropical garden. 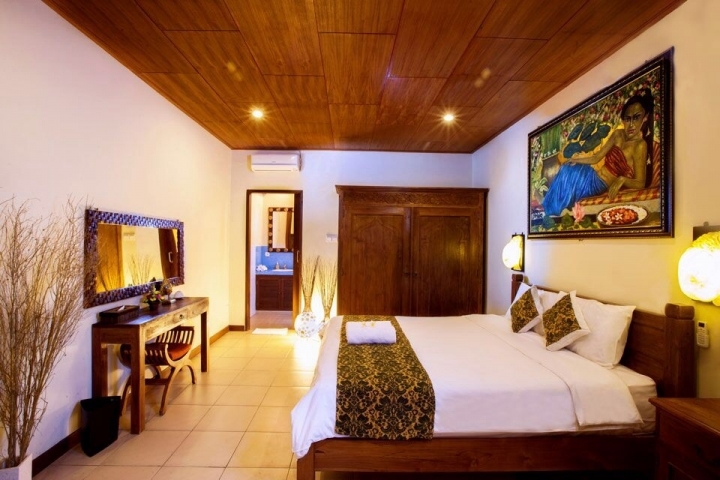 All bedrooms have king size beds, en-suite bathrooms with bath tub, and big wardrobes with safety box.